Small service kit, Mazda MX5 or Eunos Roadster mk1 1.6 & 1.8 1989-98. Oil & air filters, plugs, sump washer. NM00752. Small service kit, Mazda MX5 or Eunos Roadster mk1 1.6 & 1.8 1989-98. NA series cars (all models with pop-up headlamps). 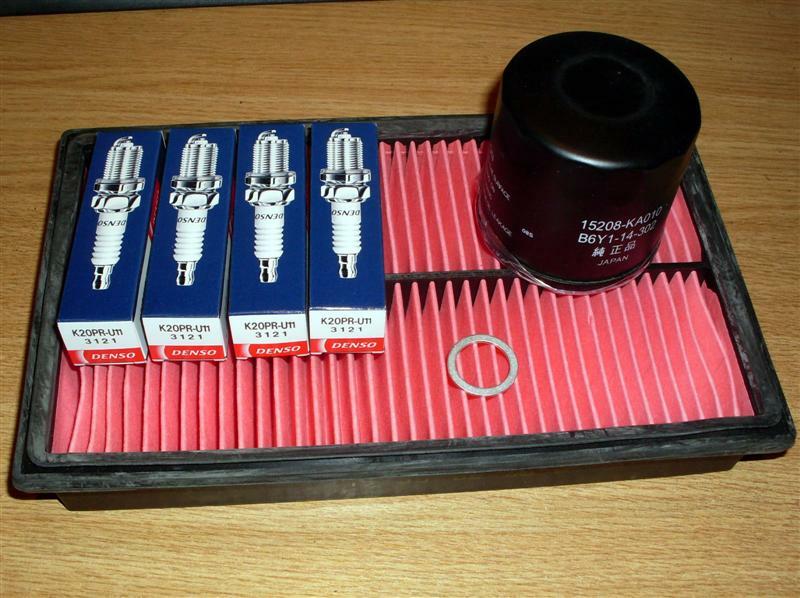 Contains oil & air filters, 4 x Mazda OEM Denso, Bosch or NGK spark plugs, sump plug washer. Quality items to OEM specification. If you have a preferred brand of spark plug (we have Denso, NGK or Bosch), please select from the drop down list, otherwise we will just send what we have most of at the time. All of them are top quality plugs though.